One size does not fit all. SciComp: Providing cutting-edge FX derivatives pricing models for over 20 years. Unlike vendors that rely upon pre-built libraries or toolkits, SciComp’s Custom Developed Pricing Models are built to exact customer specifications using state of the art numerical methods and customer selected interfaces and have comprehensive documentation and a complete description of the model implementation. A source code licensing option is available. Find out more. SciFinance automatically generates efficient C/C++-family pricing model source code from high-level model specifications. With hundreds of customizable, composable, industry-proven examples to choose from and a robust, transparent modeling environment, users can easily and rapidly create bespoke models for all asset classes. Find out more. In addition: SciComp supports the implementation of any derivatives pricing model valued using systems of partial differential equations (PDEs), stochastic differential equations (SDEs), or analytic functions. Therefore, users may define a nearly unlimited range of public-domain and proprietary models. SciComp customers may select from two types of solutions for model calibration: SciCalibrator, a module of SciFinance that helps users develop their own calibration functions; and Ready-to-Use Calibrators a suite of robust, ready-to-use, standalone calibration functions that can be tailored to meet customer requirements. The list of contract features below is representative of those available with SciComp solutions, but by no means exhaustive. For Custom Developed Pricing Models, customers can request any FX derivatives model features they wish. SciFinance users can write specifications from scratch to develop completely customized models in-house, or edit existing examples to adjust payoffs, add new path dependencies and define a limitless array of exotic contract features. 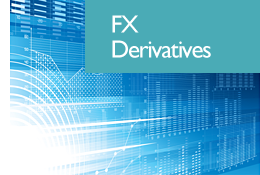 Get more information on FX derivatives pricing models.